Last fall, we asked you to contact President Barack Obama and Interior Secretary Sally Jewell to voice support for the designation of three new National Monuments in the southern California desert: Mojave Trails, Sand to Snow and Castle Mountain. We are pleased to report that on February 12, President Obama signed an executive order creating all three National Monuments! We thank everyone who reached out to the President and the Secretary with a letter, email or phone call in support of this proposal and helped to lead policymakers to a good decision. 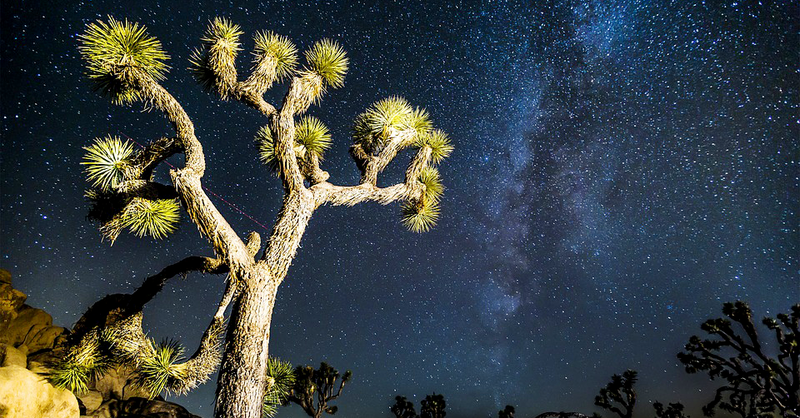 Our members and supporters answered our call, helping ensure that Californians and visitors from around the world will be able to enjoy the exceptional beauty of the California desert and its stunning night skies for generations to come. Furthermore, we would like to recognize the efforts of California Senator Diane Feinstein and her staff, who have championed wild lands protections in southern California for over 20 years. IDA joined an array environmental organizations, community leaders and land users in support of Sen. Feinstein’s proposal. The new National Monuments are expected to yield additional opportunities for environmental and astronomical tourism, drawing more visitors to an area whose public lands already attract millions of people each year and bringing hundreds of millions of dollars of potential new investment. Raising the status of these places shows what IDA has long contended: the pursuit of dark skies as part of a strategy to conserve natural resources can successfully coexist with regional economic development.